Dr. Buxton chose Fort Collins as his final destination because of its many similarities to his hometown, the family-friendly environment, the active lifestyle, and the beautiful surroundings. Dr. Buxton loves dentistry and enjoys the ongoing education it demands. He works hard to stay up to date on the latest information and technology from each branch of the dental profession. 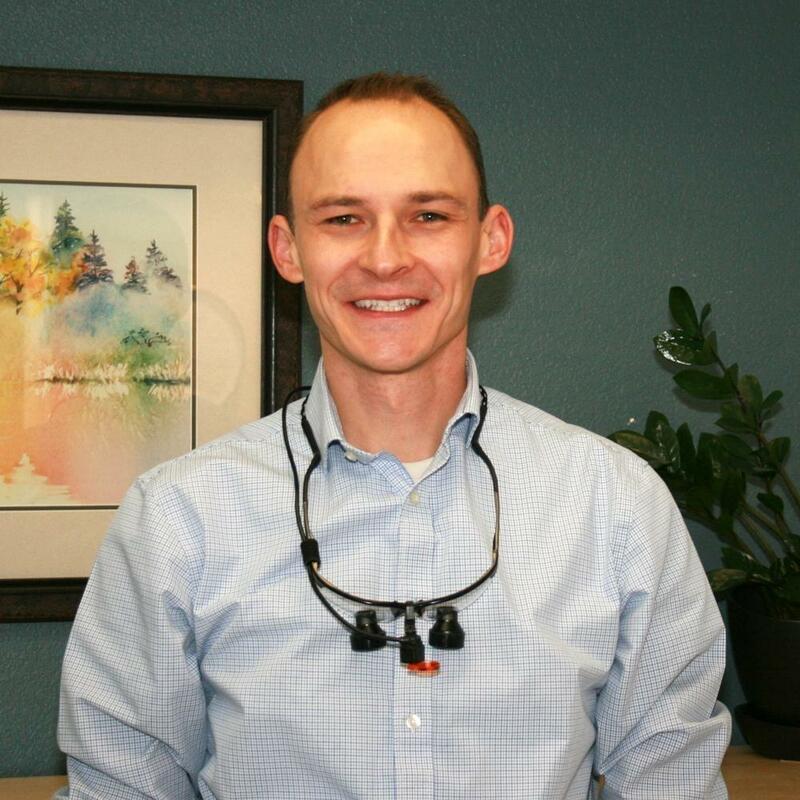 Dr. Buxton believes dentistry can be comfortable for even the most timid patients and does his best to show that no matter what type of treatment he is providing. Outside of dentistry, Dr. Buxton’s primary focus is on spending time with his wife, their six children, and their miniature dachshund. They enjoy music, sports, the outdoors, road trips, movies, exploring Colorado and cheering on their favorite sports teams.